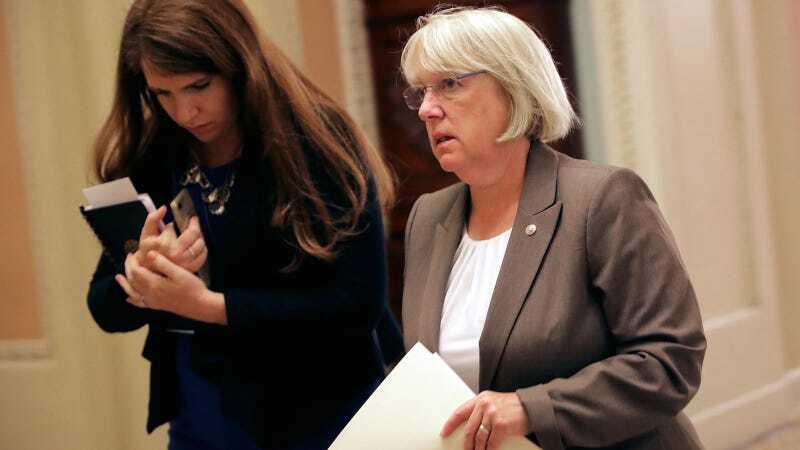 Politico reports that Senator Patty Murray (D-Washington) is preparing to introduce the “Child Care for Working Families Act” on Thursday, a piece of legislation that, according to Politico, will focus on keeping down childcare costs and invest in early learning and the childcare workforce. This is meant as something of a public rebuke to the halfhearted gestures of Ivanka Trump, who has met with congressional Republicans to discuss paid leave and in February proposed a $500 billion childcare plan that would disproportionately assist wealthy families. The legislation will make federal funding mandatory for lower- and middle-class families to ensure child care doesn’t eat up a disproportionate share of their budget, focus on preparing 3- and 4-year-old children for kindergarten and make new investments in the child care workforce, according to a summary. The full proposal will be rolled out on Thursday by Murray, Sen. Bob Casey (D-Pa.) and Rep. Bobby Scott (D-Va.). Senate Minority Leader Chuck Schumer and House Minority Leader Nancy Pelosi are also expected to attend, signaling broad bicameral support among Democrats. At least some Republicans appear to be sputtering towards some sort of acknowledgment that giving families the absolute bare minimum of support (paid time off in order to give birth to a child, for example) isn’t the worst idea, but their priorities remain fundamentally geared towards helping rich people, which media outlets have continued to obligingly refer to as “tax reform.” Meanwhile, the GOP-controlled Senate Finance Committee has temporarily resigned itself to maintaining the Children’s Health Insurance Program (CHIP), which covers children whose parents’ incomes are too high to qualify for medicaid—how kind of them. Politico reports that Murray’s proposal will be part of the Democrats’ “Better Deal” platform aimed at convincing the electorate that they should be returned to power, though other elements of said “deal” remain rather foggy.